In the Electric Mist (2008) marks legendary French filmmaker Bertrand Tavernier’s first North American-made motion picture and, based on the troubles he encountered while making it, perhaps his last. Tavernier, a big fan of American crime fiction (he previously adapted Jim Thompson’s Pop. 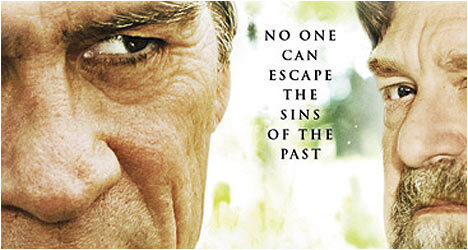 1280 into Coup de Torchon), jumped at the chance to bring James Lee Burke’s bestselling novel In the Electric Mist with Confederate Dead to the big screen. However, reports surfaced that Tavernier and the film’s star, Tommy Lee Jones, did not get along, and the producers were not happy with the director’s version. As a result, the version released on DVD in North America is the producers’ cut and not Tavernier’s. Veteran police detective Dave Robicheaux (Jones) is investigating the brutal murder of a young woman and how it might be related to a recently uncovered body of an African American man murdered 40 years ago – both occurred deep in the Louisiana bayou. Robicheaux does some good ol’ fashioned legwork and finds out that the woman was a prostitute and may have been involved with notorious New Orleans mobster “Baby Feet” Balboni (Goodman) who fancies himself a movie producer. He’s helping finance a film about the American Civil War that features the actor (Sarsgaard) who found the remains of the African American man. The deeper he digs, the more Robicheaux realizes that everything is connected. As a result, he and his family find themselves in increasing danger. Tavernier does an excellent job capturing the local colour of the area in the scenes where Robicheaux canvases the locals. The entire film was shot on location and this only enhances the authenticity of the story’s setting which is rich in atmosphere – also helped by the liberal use of blues and zydeco music. The cinematography has a textured quality to it that really brings out the lushness of the region. The cast is outstanding with Tommy Lee Jones doing his patented gruff yet savvy lawman, Peter Sarsgaard portraying a boozy actor, and John Goodman as a scene-stealing mobster with a genial facade that barely masks a threatening demeanour. The cast is rounded out by fascinating veteran character actors like Mary Steenburgen, Pruitt Taylor Vince and Ned Beatty. Like Clint Eastwood and Robert Altman before him, Tavernier presents his own distinctive take on the Deep South with a veteran cast of actor playing characters embroiled in a mystery that exposes long-standing corruption. In the Electric Mist is also similar to Altman’s The Gingerbread Man (1998) in that both auteurs met with producer interference which resulted in a poor performance at the box office. Despite the production and post-production problems that plagued the film, this version is engaging and entertaining but one still wonders what Tavernier’s original cut is like. When is this movie “In the electric mist with confederate dead” due for release in the UK? To be honest, I haven’t heard when this is happening but apparently the European release will be the director’s cut.